The core Unconventional Wisdom® team appears below. Colleagues, support staff and diverse professionals join projects as specific expertise is required or geographic preferences are requested. Joyce has built a profession around career development, mid-life transitions, life coaching (all levels including executive), encore careers, mentoring, retention/enagement and outplacement. She trains and consults with Unconventional Wisdom and with established consulting firms in multiple industries. Joyce delivers keynote talks and has facilitated hundreds of workshops with over 365 corporations, government agencies, non-profits, universities, community groups, associations and public schools throughout North and South America, Europe, Asia and Africa. More recently she works with ex-offenders and counselors in community outreach. Her work spans public and private sectors. She designs and facilitates engaging programs related to career planning, the third age, encore careers, retention, engagement on the job and she works with organizations, individuals and couples. Joyce is serving a fifth term as a Trustee at Keuka College in upstate NY where she also is adjunct faculty teaching an online course in career and life planning to adult learners. She is quoted often in newspapers and is published in several professional trade journals on career, retirement and life planning topics. Joyce writes a Blog for CT Media Group, a Hearst organization, on issues related to transitions, career development, starting anew, job search and life planning. It now appears in www.southernctjobs.com. She co-authored chapter #15 Career Development: Encompassing All Employees in Talent Management Handbook, 2nd Edition McGraw-Hill Publishers 2010 and the lead article in ASTD's T+D Magazine, April, 2008 entitled Safeguarding the Intellectual Capital of Baby Boomers. 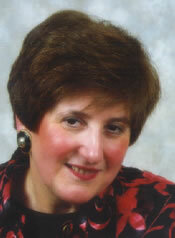 Joyce conducts webinars on worklife balance and she is a popular speaker at national conferences and meetings. In addition, Joyce recently designed the innovative Diving In to Living...My Way program with accompanying life planning tools and 8 Planning Guides. She is active with several national associations (Life Planning Network, The Transition Network, Purple Heart Homes, Greater Valley Chamber of Commerce and local projects devoted to enhancing quality of life). Contact us for more information. Lyn has a rich background in leadership, mentoring, coaching, teacher education, career development and life planning. She trains adults of all ability levels, supervises, evaluates, defines training needs, and designs interactive instructional materials. Lyn has invested years in gender equity, effective group dynamics, eliminating sexual harassment and trains trainers in a variety of disciplines. Lyn spent 20+ years as a Program Manager and Trainer for Cooperative Educational Services in CT. She serves as liaison between school systems and CT State Department of Education to ensure challenges and successes at both levels are understood. On average, she trains 80 facilitators annually to deliver workshops in educational settings. She consistently problem solves through successful resolution with mentors and administrators on issues related to new teacher induction. Lyn facilitated mid-life transition and career development seminars for corporations, government agencies and downsizing organizations in private industry and the federal government. She spoke at three recent national conferences, all receiving top ratings and rave reviews. They include the National Staff Development Council, Dallas, TX and Washington, DC; New Teacher Center's National Conference, San Jose, CA; and National Conference on New Teacher Induction in Boston, MA. Topics ranged from Leadership, Mentoring and CT's Master Mentor Program. Lyn has been acknowledged by peers and audiences for diverse subject matter expertise, leadership ability, keen sense of humor, enthusiasm, motivational skill, sensitivity to audience concerns, and she's "easy to learn from even after a long day at work." Wayne Bragg is a business consultant and educator, who specializes in business plan development, performance measurement, profitability and cost analysis. He started KWB Consulting as an independent, business-coaching firm with a commitment to guide individuals and organizations in developing their business skills and specifically the financial acumen needed to thrive and adapt in today's competitive environment. Wayne successfully led teams, coached business owners and senior executives using strong interpersonal skills, perceptive analysis, and a remarkable ability to de-mystify and explain difficult business issues. He is respected for his thoroughness, clarity in communicating financial information, and a strong ability to see the bigger picture instantly. As Controller at Sikorsky Aircraft, a Fortune 100 corporation business unit, he coached senior executives in business plan development, budgeting, operating performance and provided quantitative analysis for decision making. During his distinguished 30 year career he led numerous multi-functional teams and successfully completed multi-million dollar projects. He also developed and managed numerous factory initiatives and financial systems implementations that led to profit improvements from operational performance and strategic cost reduction. In his current position as Instructor in Residence of Accounting for the University of Connecticut's School of Business, he teaches Cost Analysis and Financial Control for the MBA, Executive MBA, and Executive Education Programs. At UConn, Wayne blends his extensive experience and "hands on" style with his goal to ensure that students possess a strong grasp of accounting concepts and analytical tools to solve problems facing high performing organizations. Coupled with his corporate experience, Wayne provides a practical context to illustrate how management makes a broad range of economic decisions. He was recognized as "outstanding professor" by the EMBA Classes of 2005, 2008 and 2009. Syble Solomon is the creator of Money Habitudes (www.moneyhabitudes.com), the unique deck of cards that helps people discover how their habits and attitudes about money influence their financial and life decisions. Her presentations educate and encourage people to take personal responsibility for their actions and attitude today so they can create more options and opportunities for their future. Her personal mission is to give people tools, information and encouragement to build resilience for tomorrow. Based on her 30 years experience as a consultant, educator, trainer and coach, she was inspired to develop a product that was interactive, quick, fun, educational and can be used by individuals as well as professionals. She has also written user-friendly guides for couples and for professionals working with teens and adults regarding money related issues. The cards and guides are endorsed by the Institute of Consumer Financial Education. As an executive coach since 1995, she is affiliated with the Center for Creative Leadership and the National Leadership Institute at the University of Maryland. Her clients include Fortune 500 companies, small businesses and non-profit organizations. She received the Part-Time Outstanding Faculty Award as an adjunct faculty member at the University of North Carolina at Greensboro, was honored as the Educator of the Year by the Association of Financial Counseling and Planning Education (AFCPE) and received the Smart Marriages 2009 Impact Award.